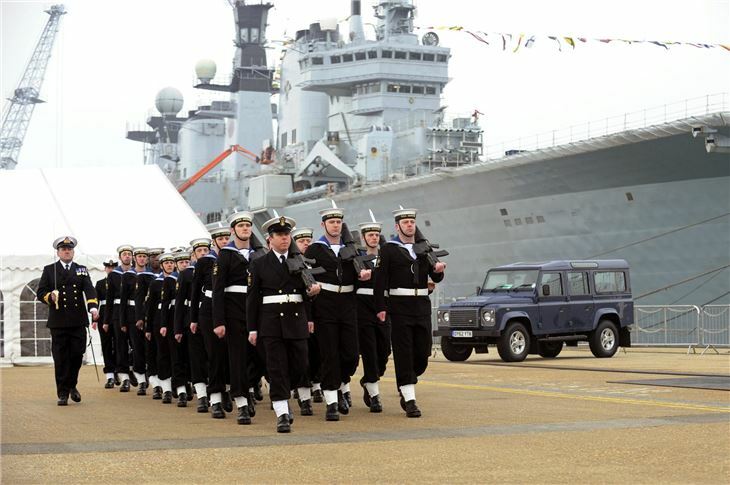 Land Rover has announced an affiliation with a Royal Navy Type 45 destroyer. And what better ship to choose than a namesake of one of its best-known models? 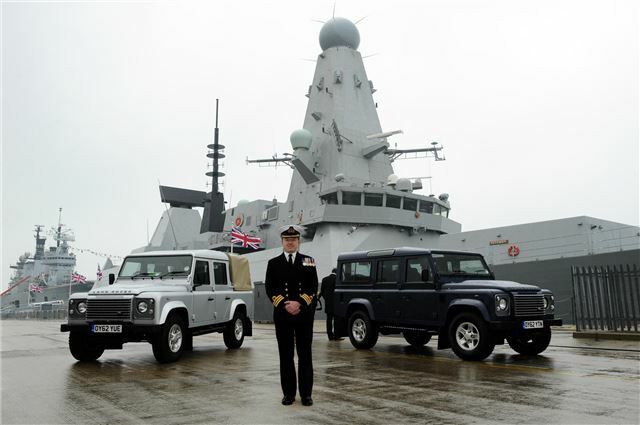 The firm will be supplying HMS Defender with a ... errr ... Defender to use when in dry land and it was present yesterday at the commisioning of the ship at its home port in Portsmouth. Mark Cameron, Land Rover Brand Experience Director – Global Marketing, said: “We are proud of our Land Rover Defender as an expression of what Land Rover has stood for for more than 60 years, and in the same spirit we are also proud of our new association with HMS Defender and her servicemen and women. No weaponry? They need to have a word with Q branch.